President Clements visited the University’s Belle W. Baruch Institute of Coastal Ecology and Forest Science on Hobcaw Barony near Georgetown in October for the dedication of the John Bunyan Harris III Student Center. The student center provides affordable short-term housing for graduate students studying or conducting research at the institute. The cottage is a gift from John Harris Jr. in memory of his son, a 1974 Clemson graduate in economics who died in 2006. Students spoke to the gathering inside the cottage that sleeps eight and has a kitchen adjoining a spacious great room opening on to a screened porch. Wildlife biology graduate student Nikki Roach recalled the cramped conditions that existed when she came to Baruch before to research marsh birds. Forestry undergraduate Trey Bailey III spoke of the opportunities to study with Baruch coastal forest scientists because the cottage provided a place to stay. Clemson research at Baruch focuses on the environmental impacts of population growth, climate change and rising sea levels on South Carolina’s coast. The goal is to provide commercial developers and municipal officials with science-based information to protect the area’s fragile ecosystems from saltwater intrusion and pollution from stormwater runoff as forested wetlands are converted to neighborhoods and shopping centers. In 1964, a foundation was created to honor Belle Baruch, the daughter of financier Bernard Baruch. She consolidated 14 individual plantations into Hobcaw Barony, a 16,000-acre wildlife refuge. The foundation invited South Carolina colleges and universities to establish research and teaching programs focused on forestry, marine biology, wildlife and natural resources protection. 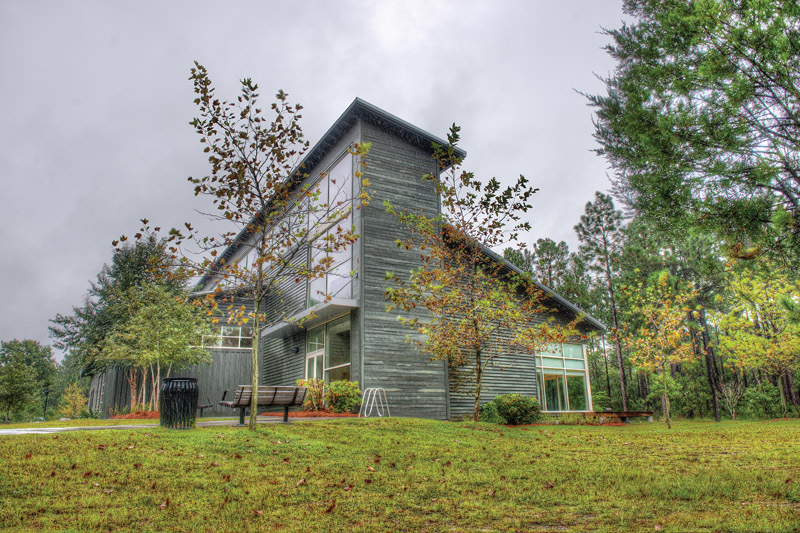 Clemson’s Baruch Institute of Coastal Ecology and Forest Science began in 1968 as the Baruch Institute of Forest Science with Clemson’s first professor on site.